Royal Caribbean's Voyager of the Seas entered Victoria Habour earlier today in Hong Kong for the final time this cruise season. From July to October this year, Voyager of the Seas has seen nearly 70,000 guests enjoy cruising on her during this season. 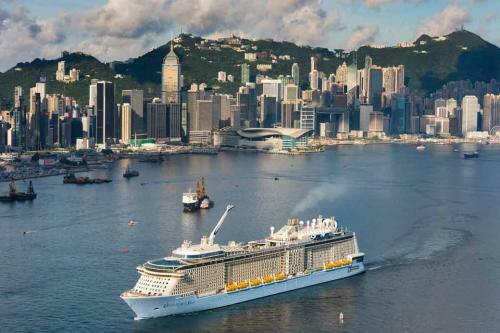 Voyager of the Seas will return for another season in Hong Kong in 2016. 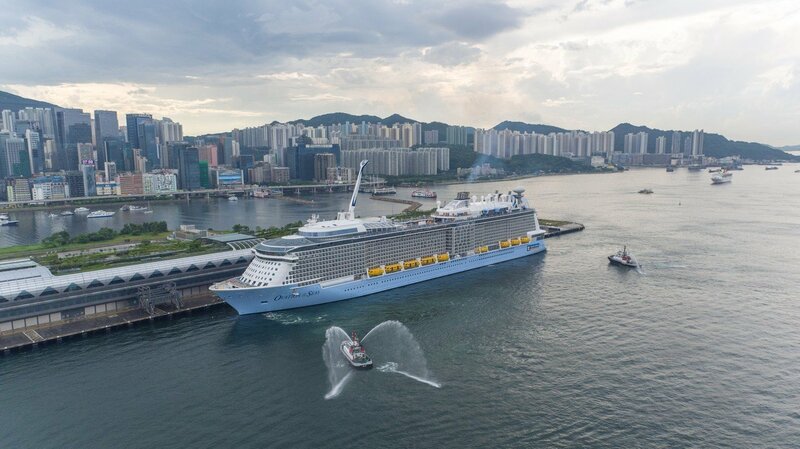 Royal Caribbean's Quantum of the Seas arrived in Hong Kong earlier today. 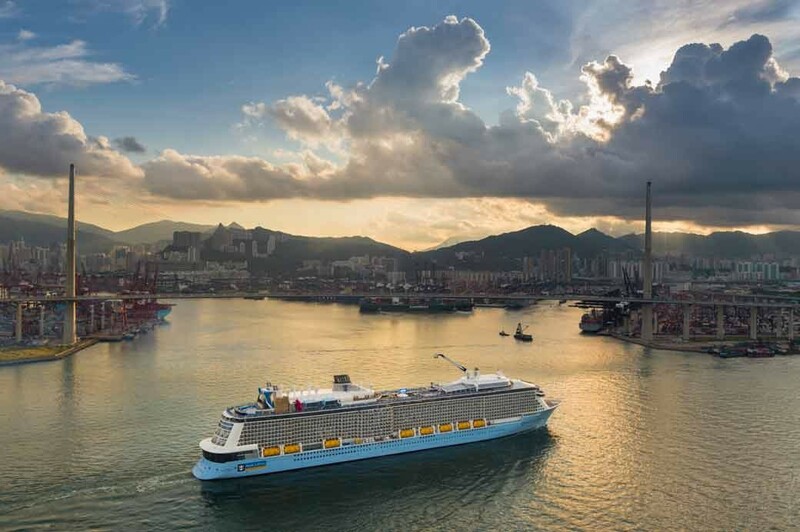 Quantum of the Seas is on a global odyssey cruise that began in New Jersey and will eventually see her be based in Shanghai, China. 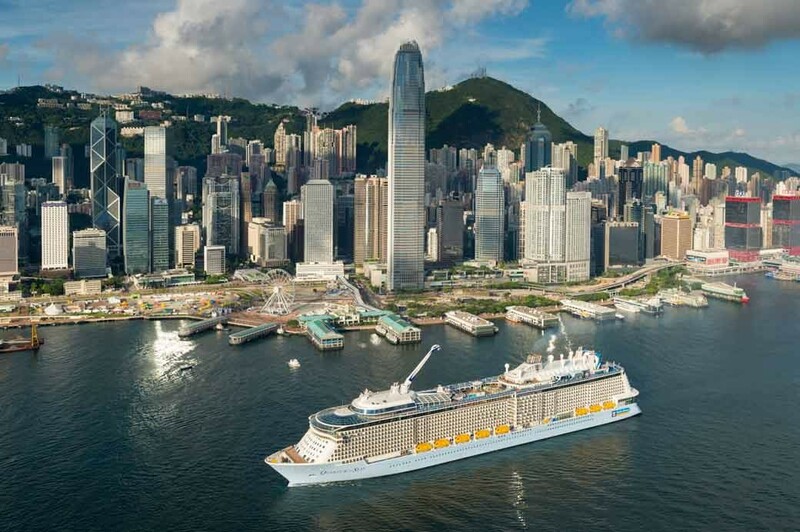 Royal Caribbean executives were on hand in Hong Kong for Quantum's arrival into Kai Tak cruise terminal. The Hong Kong Police Band performed in Two70 as part of the celebration. 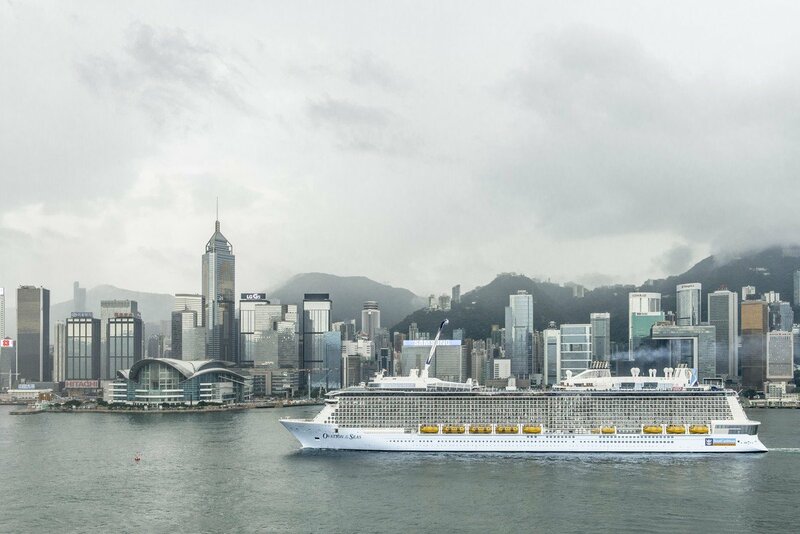 Quantum of the Seas is staying overnight in Hong Kong and will leave at 3.00pm on Sunday. The ship will return to the city in December. Royal Caribbean is once again moving deeper into Asia by establishing an office in Hong Kong to compliment the company's offices in Beijing and Shanghai. 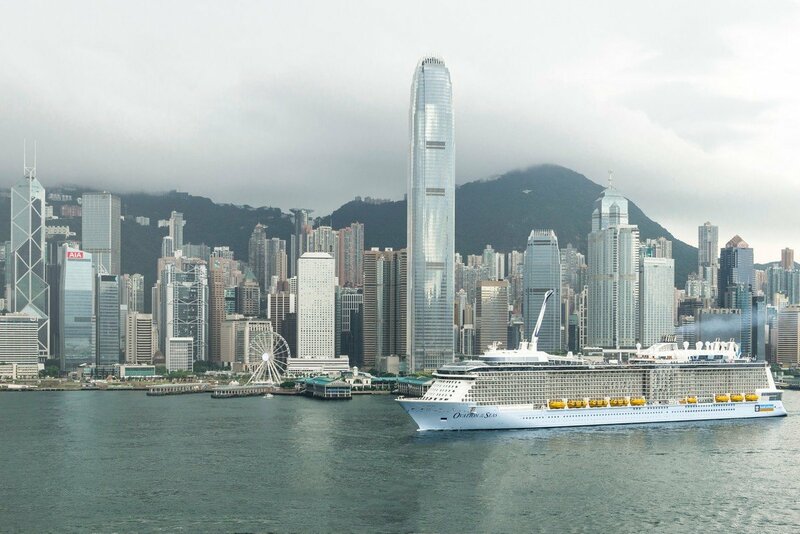 In addition, Voyager of the Seas will be homeported in Hong Kong for 22 cruises next summer. Voyager of the Seas had previously sailed out of Shanghai and Beijing when previously sailing out of China. Voyager of the Seas will offer a six-night cruise out of Beijing (Tianjin) on June 26, 2015, where she will sail to her new homeport of Hong Kong. 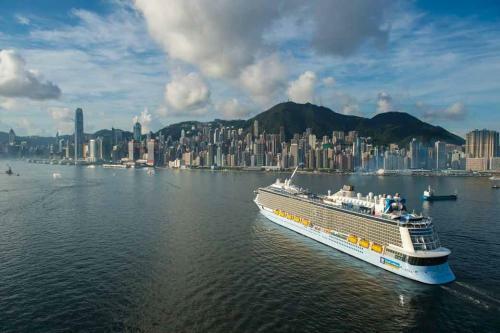 Voyager of the Seas will remain in Hong Kong through October 2015 and offer cruises of three- to ten-night sailings. Voyager of the Seas will visit Vietnam, Thailand, Singapore, Japan, South Korea and Taiwan, as well as destinations in China. 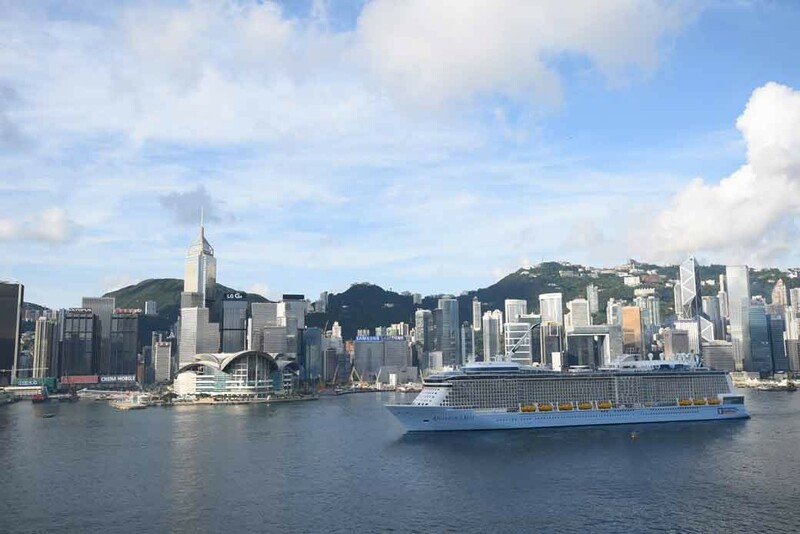 Royal Caribbean's Mariner of the Seas left from Hong Kong's brand newKai TakCruiseTerminal today, the first cruise ship to do so. Mariner of the Seas took its 3,000 passengers on a cruise heading toward Taiwan,and the sailing was jointly arranged by the Hong Kong Tourism Board and the Taiwan Bureau with Royal Caribbean. Mariner of the Seas left Hong Kong for Kaohsiung and Keelungin Taiwan on a five-day, four-night cruise. 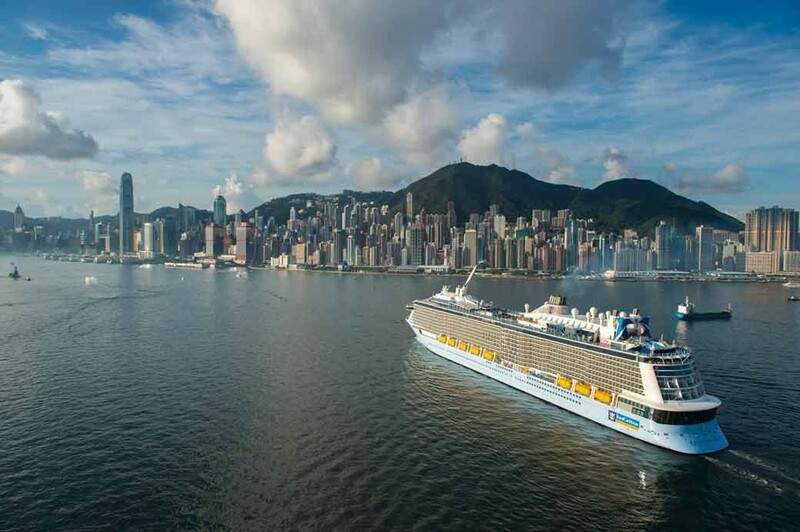 Mariner of the Seas will return to Hong Kong on November 2nd and then turn around for another cruise to Kaohsiung before returning on November 5th. Royal Caribbean will be the first cruise line to offer round trip cruises out of Kai Tak cruise terminal in Hong Kong, which is scheduled to open next week. 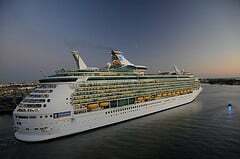 Starting this fall, Royal Caribbean will offer cruises on Mariner of the Seas. 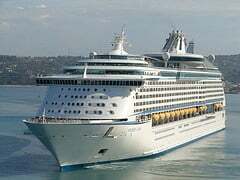 Royal Caribbean is the first company to announce cruises that will home port from thr new port. 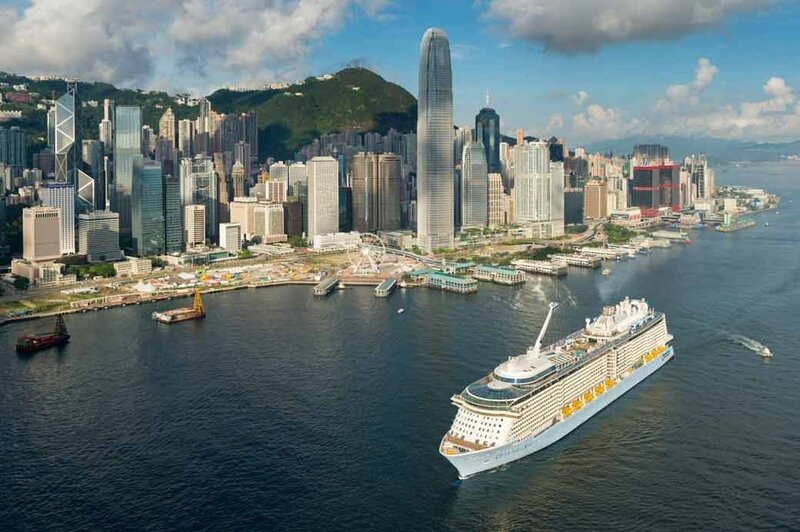 "Hong Kong is one of the most important home ports in Asia," said Dr Liu Zinan, Royal Caribbean's managing director of China. 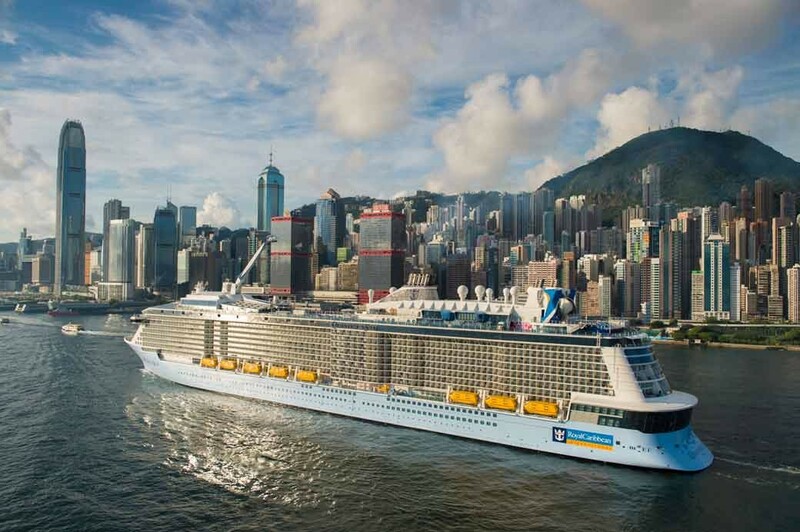 "Asia, including China, is one of the strategic markets for Royal Caribbean." 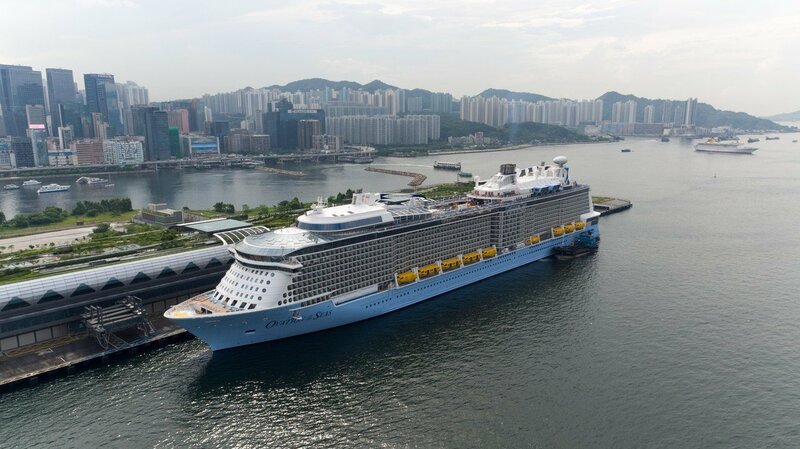 Mariner of the Seas has never visited Hong Kong before because it was too big for Ocean Terminal in Tsim Sha Tsui to handle. 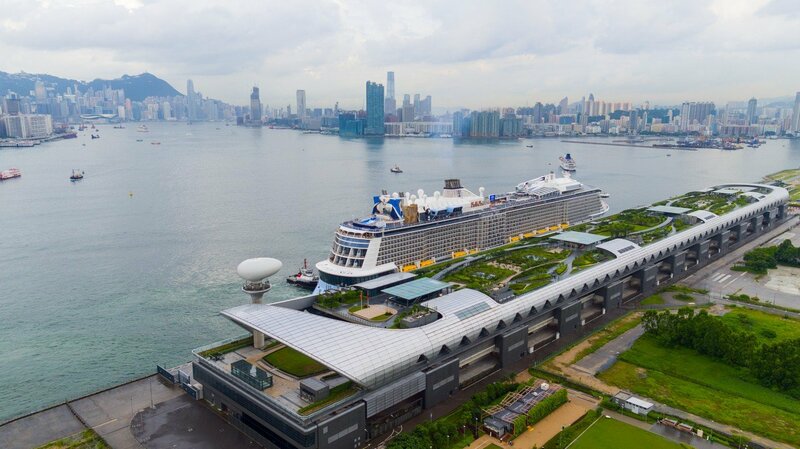 When the Kai Tak terminal building opens next Wednesday, Mariner of the Seas will be the first ship to use the immigration counters, as part of a Singapore-Shanghai cruise in which Hong Kong is a port of call. Shorter trips out of Hong Kong are lined up starting in autumn. At the end of October, the vessel will embark on a four-night round trip to two Taiwanese cities, Kaohsiung and Taipei. A three-night return trip to Kaohsiung will take place in November, following which the Mariner will leave Hong Kong for Singapore for the winter season. 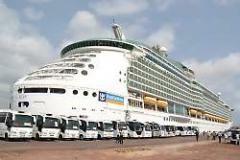 Making a city a home port is considered to bring bigger economic benefits than transits, as passengers may stay extra nights in the city before or after their standard itineraries. Last year, such passengers spent an average of HK$4,833 a day, twice as much as conventional tourists. Beginning in June, Royal Caribbean cruise ships sailing into Hong Kong will dock at the new $1 billion Kai Tak Cruise Terminal that features eco-friendly features and an impressive harbor view from the terminal's interior and rooftop. 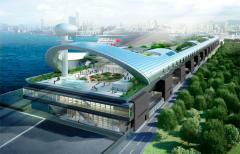 The new Kai Tak Cruise Terminal can handle ships of up to 220,000 gross registered tonnage. It can also process 3,000 passengers an hour. 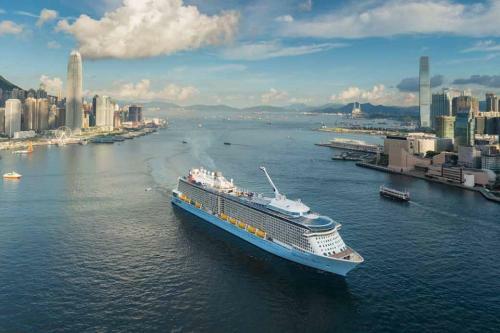 The first ship scheduled to officially utilize the new Kai Tak terminal is Royal Caribbean’s Mariner of the Seas on June 12. Voyager of the Seas will also dock here this year. Royal Caribbean ships will return to dock here in 2014 as well.